We woke up on the morning of this engagement session to find rain on the forecast. Casey + Jordan had come in from out of town for a wedding and we couldn't move the session to a different day. So Jake called an audible took them around our hometown of Huntington Beach. It wasn't what we'd planned, but ended up being an all-time favorite shoot! The shoot started at Huntington Beach Central Park, where the cloud cover provided perfectly diffused lighting (any natural light photographer’s dream). Casey and Jordan are such a fun and vibrant couple, and photographing them there was a great time! The rain eventually pushed us from the park, and we took refuge at a great little restaurant called the American Dream. After we had enjoyed good conversation, lots of laughs and delicious burgers and mac n cheese, the rain passed. We wandered through Pacific City and ended up at the beach for some sweet final portraits. 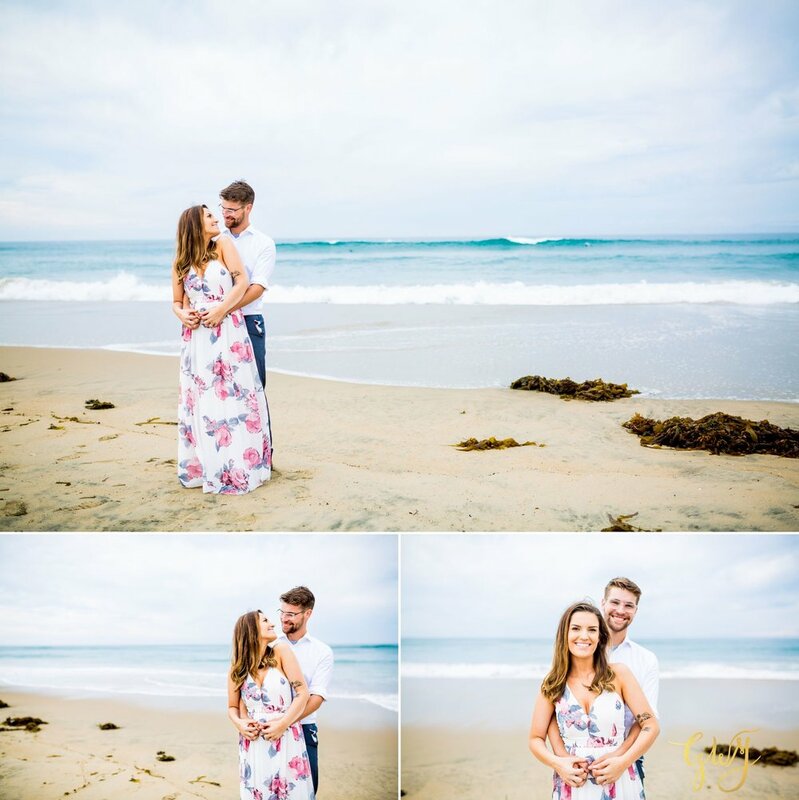 It was so great to spend the day with them right here in Huntington Beach, and we cannot wait to shoot their Big Sur elopement next year!